So I’d written a blog about ferns and was busy peddling it on twitter. 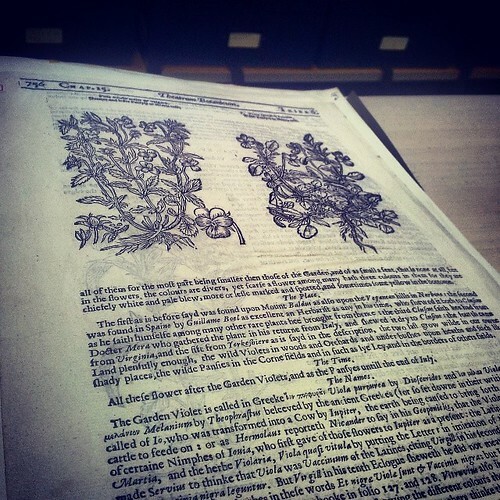 I noticed it’d been retweeted by ‘Herbarium Manchester’. Now in truth I wasn’t 100% sure until this point what a herbarium actually was. I thought I had heard the term used to describe a collection of dry moss samples in a shoe box. I suspected what I was dealing with here was grander than a shoe box of moss samples. 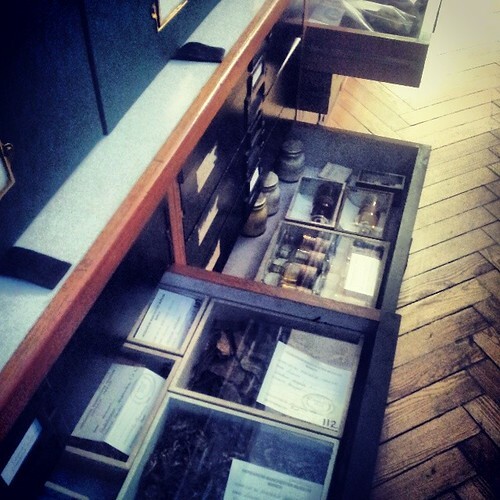 I imagined Hogwartian rows of Victorian cabinets containing old botanical specimens and curiosities. Having read the blog it appeared to my delight that it looked as though I was imagining right. Aside from an interest in botany from an ID and conservation point of view I love the aesthetic of a pressed plant. Especially the old Victorian collector type specimens, mounted in a frame with the Latin name written in neat handwriting. I made my own flower press last year and began collecting samples of plants I encountered in my area, mounting them all in a large clip frame which sat/sits on my fire place and slowly filled up as spring turned to summer. It was a useful practice of committing names to memory and a reminder of the order in which the species appeared. My technique needs some work but they’ve been an attractive ornament and it’s been curious to watch them yellow as time passes. I called the Museum to see if it was possible to see the herbarium. I was given the contact details of the curator, Rachel, who I emailed introducing myself and asking, unsure of the precise protocol of the the situation, if I could come and have a look at the herbarium? She replied with a cheerful affirmative and we arranged to meet at the Museum reception on Friday. On Thursday I was talking to Jacky at work and mentioned I was going. 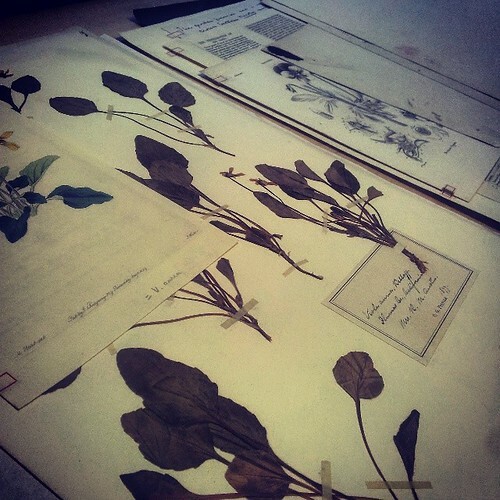 Did you know there was a herbarium in the museum? I asked her. She said she thought she did and that I was in for a treat, that it was up in the towers and full of interesting things. I arrived on the day and told the lady at reception who I was there to see. She phoned and advised of my arrival. Several minutes passed. I read the information boards by some of the displays. Streams of school children filed in, to the sound of a familiar teacher monolog about them being ambassadors for their school. I followed the drama of an ambulance being called for a man who wasn’t feeling well. When you’re waiting for someone in this situation you assess everyone who enters the scene and decide how likely it is that they’re a herbarium curator. Now I’ve met Rachel I shall judge future herbarium curators by how like her they are. Anyhow we guessed right that we were one another and set about retracing her steps back to the herbarium. Turns out that she must have left as soon as she got the call saying I was there. Then through doors behind the scenes, up old stone stair cases with narrow windows through which you glimpsed portions of a familiar building from unfamiliar perspectives, we finally passed a chair on which was sellotaped a piece of paper with ‘herbarium’ written on it in biro, and into the herbarium its self. The paper sign on the chair was an ironically contrasting announcement of the world you enter beyond it. My eyes widened and I made a mental note not to outwardly gawp. I’m a student at Manchester Metropolitan which I’m very proud of. It’s an excellent university but from a historical point of view it is architecturally unremarkable. This building though is part of the Manchester University neo-Gothic complex which for a Harry Potter fan like myself is deliciously Hogwarty. 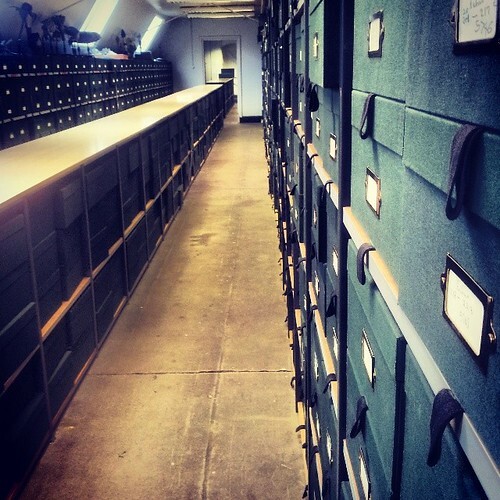 The herbarium takes up a sizable section of the loftiest floors of the building. The rooms are long and to return to the Potter metaphor is like a someone has tidied up the room of requirement, placing it’s many and varied specimens in a variety of boxes and cabenets. All cataloged and arranged in order. I didn’t even get to see the whole thing as it’s currently having more shelving fitted. Rachel showed me around and apparently at random removed one of the many green boxes from one of the shelves. Digitalis purpurea. 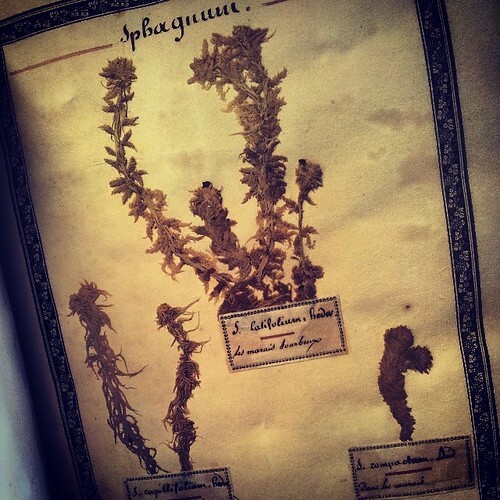 Out of it she produced pressed foxglove specimens that were nearly 200 years old. They were in pretty good condition. In a place like this the most important thing is that they keep it dry. Damp could ruin everything, as could biscuit beetles who apparently also have a fondness for pressed flowers. Thankfully there hasn’t been a serious beetle incident since the 1970s! 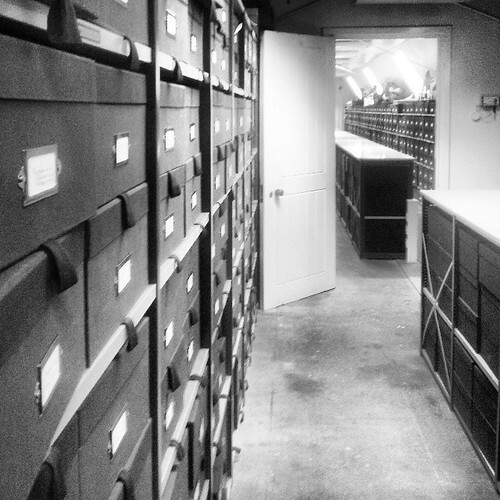 There are over a quarter of a million specimens here, box after box, full not only of pressings but people’s notes, illustrations etc. The Pintrest boards of the 19th century. Articles so old that everything is spelled a bit weird and ye olde words like ‘groweth’ take you way back to the rampant botanical collecting era of the Victorians. We all know the Victorians liked collecting botanical specimens but it’s hard to get an idea of the scale and lengths they went to until you see a collection like this. And as Rachel said this was a time when hardly anyone went abroad so sending back strange, alien looking specimens sometimes provided people’s only chance of seeing them. Someone had even pressed a Golden Barrel cactus from New Mexico! Around the herbarium are photographs of old contributors and benefactors. Rachel summarized the lives and histories of them as we walked around. What struck me in particular was the description of the working class botanists way back when. Working men who would gather in pubs on their days off after collecting specimens and discuss their physiology and identification. I like that idea. Botany isn’t exactly considered a macho pursuit these day but I doubt those guys had fun poked at them for taking an interest in their local natural history. One chap, a shoe maker’s assistant named Richard Buxton from Prestwich, taught himself to read using botanical literature and went on to produce A Botanical Guide to the Flowering Plants, Ferns, Mosses, and Algæ, Found Indigenous Within Sixteen Miles of Manchester. He had a tough life by all accounts and died in poverty. Thanks to Rachel of the Herbarium for the generous tour. 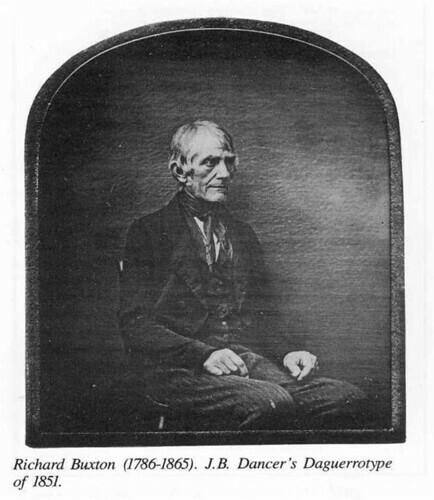 Photo of Richard Buxton sourced from Friends of Chorlton Meadows. I hope you enjoyed this blog. I’m a mature student at Manchester Metropolitan University studying Ecology & Conservation, currently on a work placement sandwich year at an ecological consultancy, documenting my adventures in ecology here. Reblogged this on Jugraphia Slate. Hi Tim, I really enjoyed reading this post and the prior one about ferns. 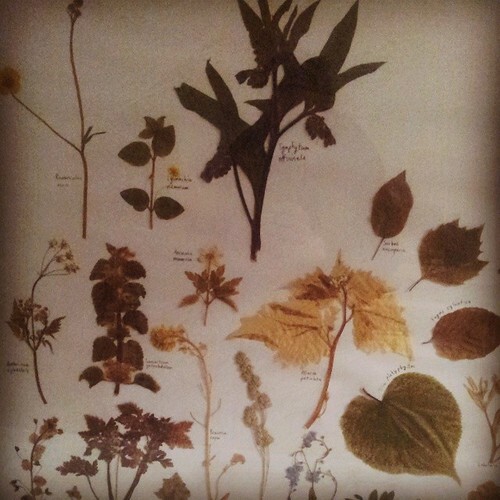 A few years ago, through work, I had the opportunity to visit the herbarium at Te Papa (Wellington, NZ). I was quite blown away by the extent of the collection, the organisation and how much the specimens could tell you about social history. Ferns, in particular, featured quite strongly from the mid 1800s and there were lots of beautiful specimens and stories of early collectors (often missionaries or interested lay people). It was no wonder that the silver fern ended up as an image representing New Zealand identity. Anyhow, we went on to work with the botany curators at Te Papa and to to write this up as a teaching resource for schools – http://www.sciencelearn.org.nz/Contexts/Ferns. It was a really interesting topic to work on as it made me aware of the importance botanists, curators and museum collections. Great post, and sounds like a great place! 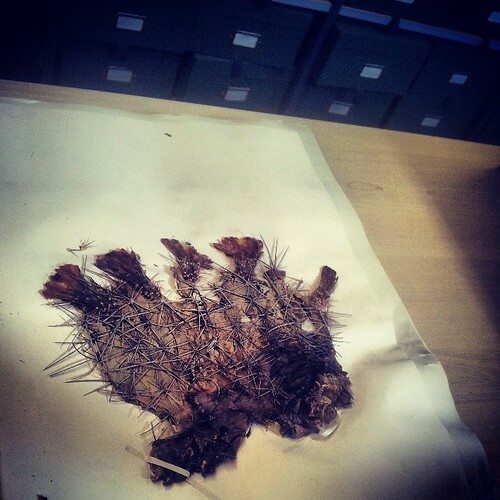 It’s amazing that such old specimens still exist and the determination required to press a catcus really does show how seriously the collectors took their work! I have to say, I’ve not spotted many people pouring over specimens with Stace and Rose beside their pints in my local recently… 😉 Although there is the movement in London to get more classical music into pubs and open it out to a wider audience, perhaps pub-botany could be the next renaissance! Pub-botany? BSBI VC55 botany group regularly has post-field meeting visits to the nearest (decent) pub and members pass round any specimens collected. Regulars are always interested to see what grows locally! Also evidence here http://bsbipublicity.blogspot.co.uk/2013/10/a-ringing-endorsement-for-local-botany.html of BSBI national support for pub-botany! Sounds great, especially if it does encourage people to take an interest in their local wildlife! I’ve sat in a pub once or twice trying to ID specimens after a survey, but have generally been given a rather wide berth by the locals! It is pretty funny when you get a few people with specimens so the table gets wilded! 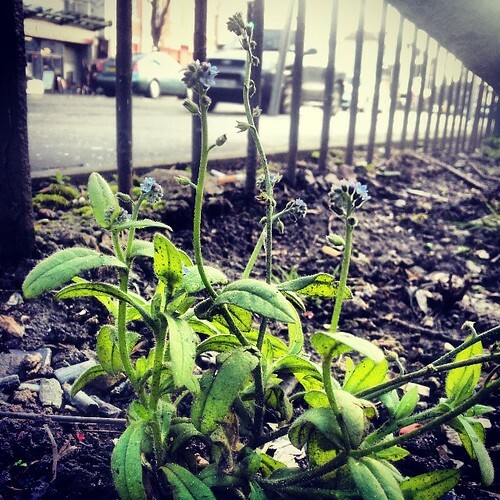 One strange botanist? I’m not sure whether to be offended by that… 😉 I agree entirely of course though, and it probably depends a little on the pub too!